A key housing influencer and authority on legislative and regulatory issues around mortgage financing, David Stevens was appointed by President Obama to the US Department of Housing and Urban Development in 2009 as the assistant secretary for housing and federal housing commissioner. 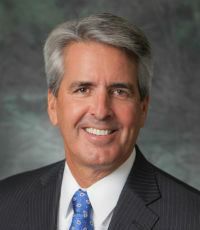 In 2011, he joined the MBA, and now serves as its president and CEO. He also sits on the board of its nonprofit philanthropic organization, MBA Open Doors. Stevens received the National Association of Hispanic Real Estate Professionals Founders Award in 2013 for championing sustainable Hispanic homeownership in America. He has also been on Bloomberg’s list of the 50 Most Powerful People in Real Estate and one of Inman News’ Top 100 Most Influential Real Estate Leaders. Stevens has more than 30 years of experience in mortgage finance and has held executive positions in sales, acquisition, investment, risk management and regulatory oversight, as well as leadership roles in major organizations such as Wells Fargo, Freddie Mac and World Savings. He was also president and COO of Long & Foster Companies.